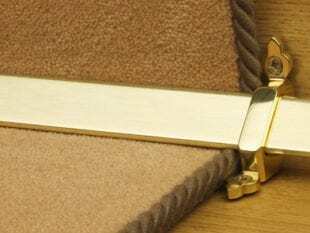 Stair rod brackets, suitable for 12mm (1/2″) and 16mm (5/8″) stair rods, sold in pairs, in a choice of 10 metal finishes. 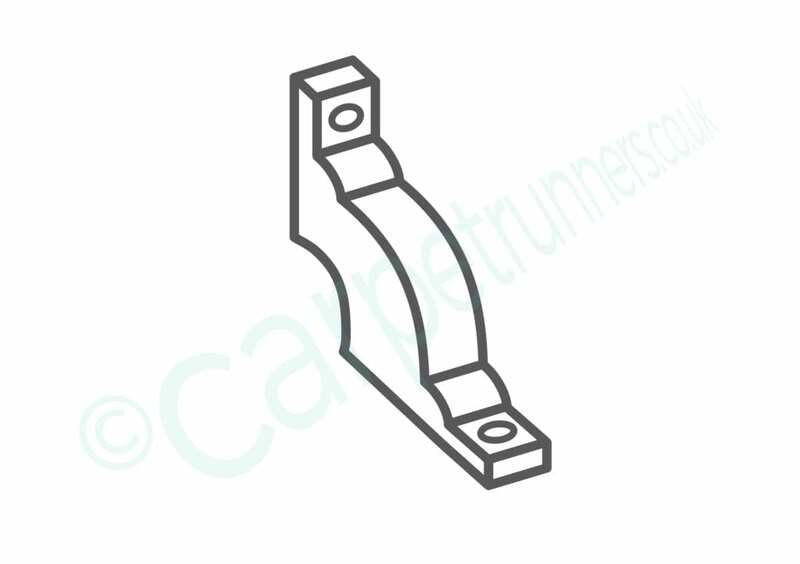 Choose from Runner Brackets, Front Fix Brackets or Side Fix brackets (see diagrams).  Suitable for solid or hollow rods. 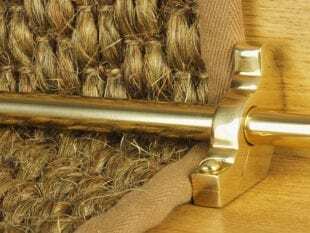 Suitable for plain, spiral and reeded style of rods.  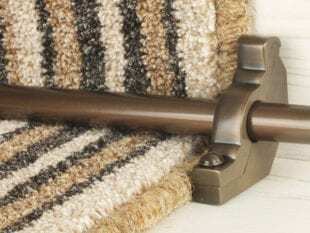 Should your stair rods be old, you may find they differ in diameter to those currently in the marketplace. 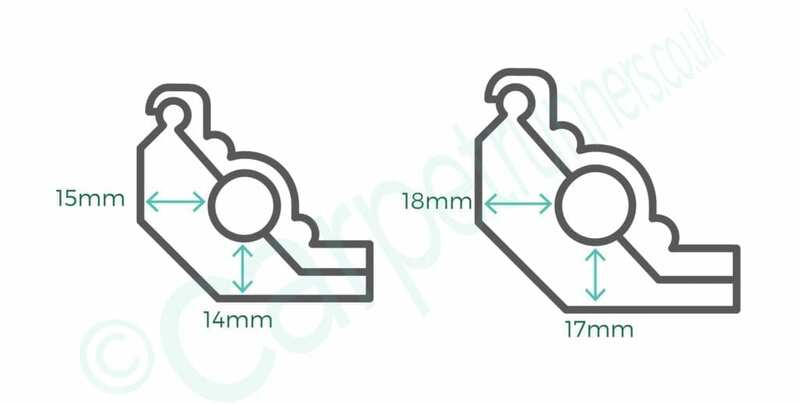 We can supply small foam inserts (free of charge) for our brackets, should your rods be slightly smaller or you can make something similar yourself to prevent your stair rods from ‘rattling’. 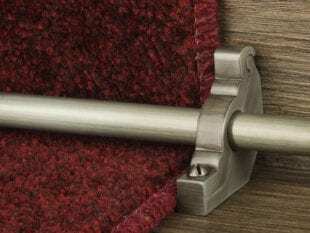 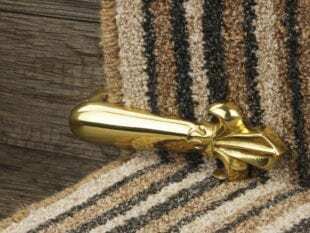  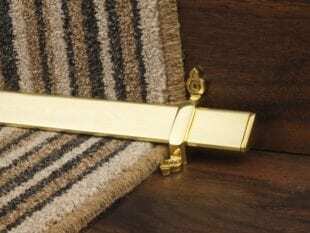 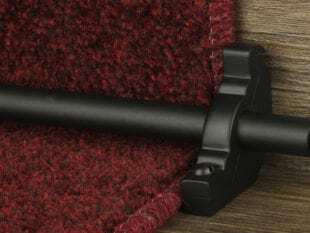 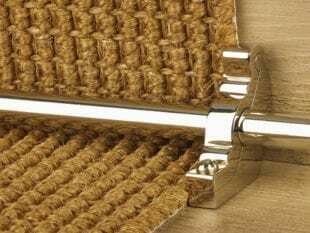 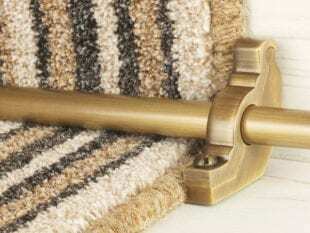 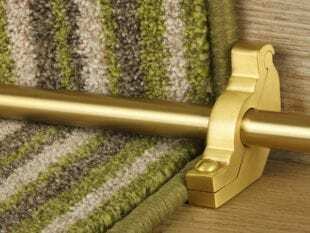 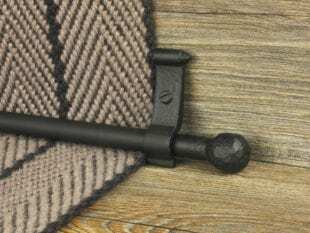 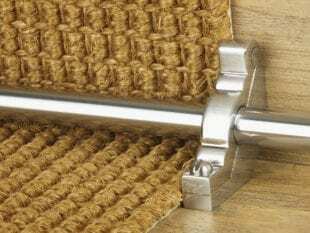 Choose from hinged Runner stair rod brackets suitable for carpet runners, Front Fix brackets for fitted carpets or Side Fix brackets for fitted carpets. 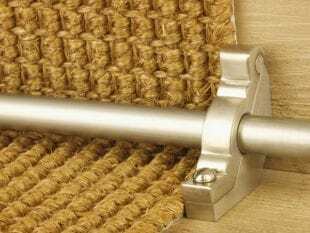 The cylindrical Runner brackets for runner rods are hinged, with the stair rod clamped in place through the centre, and held in place with two screws on either side of the runner. 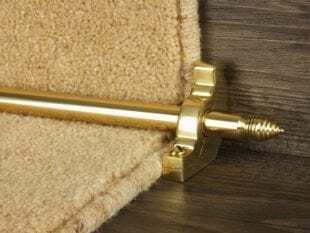 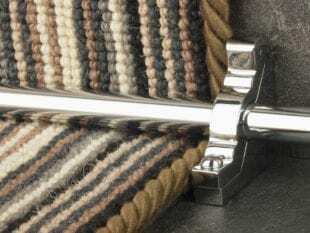  The Front Fix brackets are suitable for fitted carpets and clamp over the top of the rod and are held in place with two screws through the carpet, whilst the Side Fix brackets are also suitable for fitted carpets and are screwed into the stringboard but are not suitable for winder staircases. 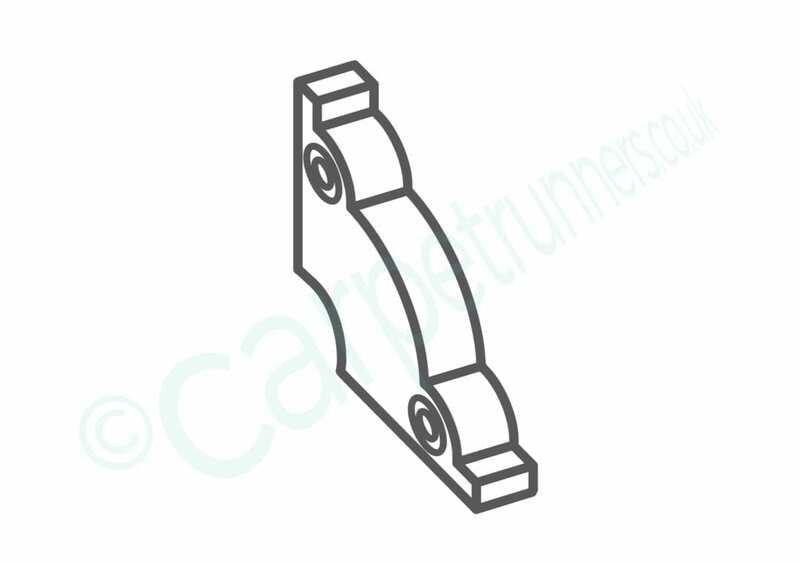 These brackets have an invisible lacquer to protect them and keep them looking pristine. 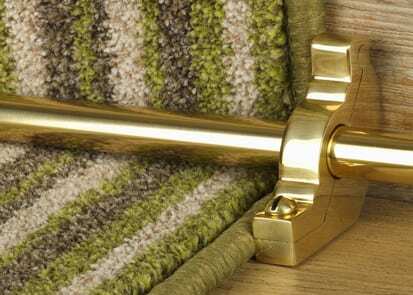 Simply wipe clean occasionally, and do not polish.